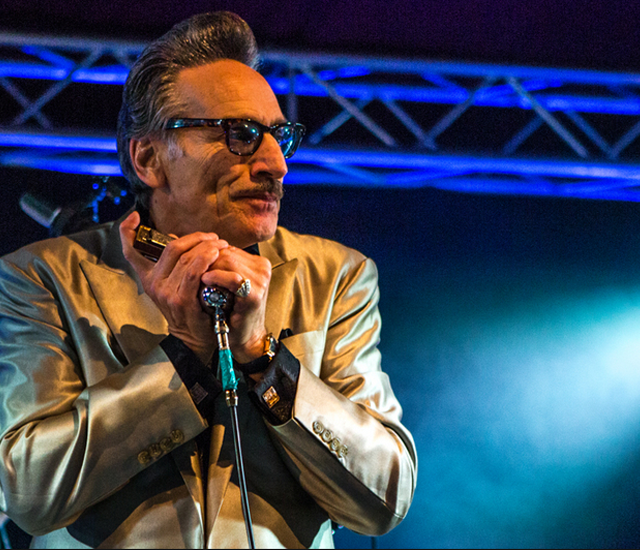 Hello, Rick Estrin here. Welcome to Sonic Junction. I'm looking forward to working with you here and I'd like to give you an idea of how I teach. I'm a self-taught, professional blues harmonica player and recording artist who's been performing nationally and internationally for over 40 years. I play strictly by ear and teach the same way. One of my teaching goals is to help you develop your ear for the subtleties that'll take your harp playing to the next level. I encourage students to learn to really listen. It's my opinion that listening is essential because there's really no way to notate many of the nuances and details that help comprise a well-rounded blues harmonica tool kit. My lessons focus a lot on the crucial element of groove. I try to show students how to stay in the pocket and create an alive sounding, buoyant, rhythmic feel. I believe groove, good phrasing and a good tone are more vital to effective blues harmonica playing than having a large vocabulary of tricky licks. 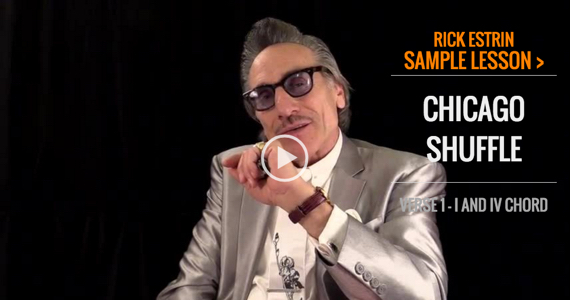 We explore aspects of the styles of greats such as Little Walter, Sonnyboy Williamson (I & II) James Cotton and others, and I use licks, concepts and musical devices from these sources to create new songs exclusively for Sonic Junction with you in mind. Above all else, my main message is that you don't have to be a virtuoso to play effective blues harmonica. My aim is to help you get in the groove so you can have fun expressing yourself and move the listener emotionally. To get you started, please check out my free sample lesson: Chicago Shuffle - Verse 1, I and IV Chord. In this lesson we begin learning the piece by going over the I and the IV or first and second change of the first verse. Some of the musical devices and components contained and addressed in this lesson are glissandos, rhythm chords, bends and (as always) groove!